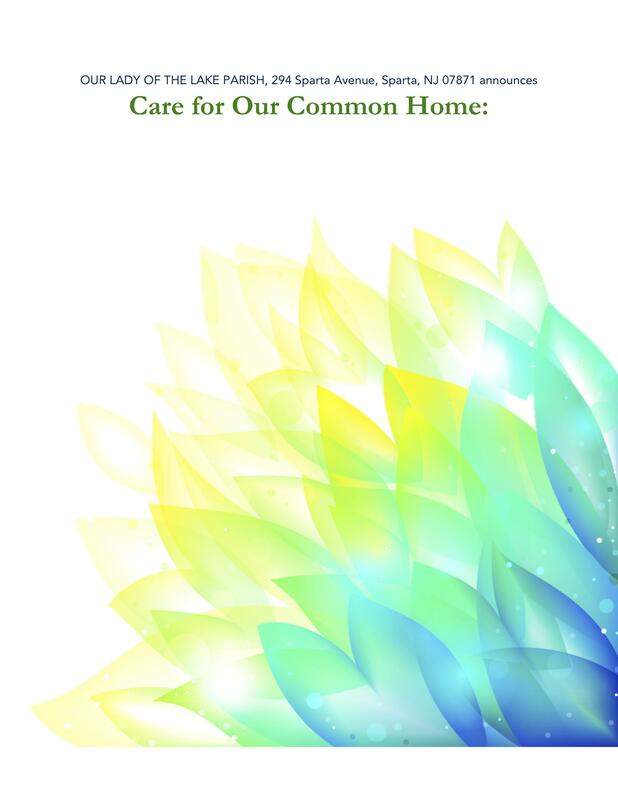 Our Lady of the Lake (OLL) parish will be holding its second annual Earth Day & Laudato Si Poster Contest for all students. The grand prize is $100. Prizes will be awarded in 3 categories (elementary, middle and high school). Posters are due on or before May 5 at CCD or the OLL Parish Office. The parish bulletin will publish the winners a week later (May 12). Please save the date for May 19 poster awards ceremony during the Festival of God’s Creation at 10:30 am in McKenna Hall, OLL. Only signed posters with provided email and student’s grade at the back of the poster can be evaluated. If you choose, please include “permission to publish” approval as well, so that we can include the winning pictures on our website or submit to the newspaper. “MAY THE NEW ARTISTS OF OUR TIMES HELP US TO DISCOVER THE BEAUTY OF GOD’s CREATION THROUGH THEIR CREATIVITY” – Pope Francis.